Cencibel or tempranillo variety is the most important of the red grapes in the Designation of originLa Mancha, with the highest reputation for quality at the national and international level. It is the most used in La Mancha, to produce red wines with aging, it its versions of single varietal or blending with others. Its production is moderate, although very high in quality. In other regions, it is known as Ull de Llebre (Eye of the rabbit), Tinto de Toro, Tinto Fino, Tinto del Pais, Jacibera and Verdiell. 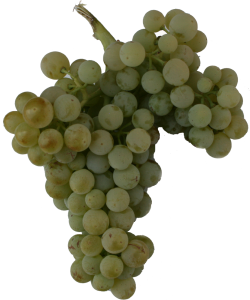 It is an early maturing variety that produces a medium size cluster, compact and regular, which grapes are medium-thick skin and soft flesh, and its colorless juice. Very productive white grape, usually used as a base for sparkling wines. With such grapes, it often produces wines of lesser degree, pale, with delicate aromas and little body. It is a Spanish grape with a strong presence in Cataluña, which is primarily used in the production of Cava (sparkling wine). This type of grape is very productive, but susceptible to disease and drought. Their clusters are medium to large size and produces wines with low alcohol.